Speed looks back at another remarkable and eventful year in its annual Hot List issue. Check out our top picks for this year’s newsmakers in the world of tech, lifestyle, motoring, and more. Because it’s the season of gift-giving, reward yourself and your loved ones with products worth your hard-earned money. Read our reviews of the Google Pixel 3 XL, Apple iPhone Xs Max, Fujifilm X-T3, Samsung Galaxy J6+, Fossil Venture HR, Fitbit Charge 3, Apple Watch Series 4, Vivo V11, and more. Not yet done with your Christmas shopping? We got your back with our Last-minute Gift Guide where you have all sorts of items to match your holiday shopping budget. For a more meaningful holiday celebration, read guest contributor Mark Isaiah David’s tech wish list for 2019 because it’s good for the mind, heart, and mankind. 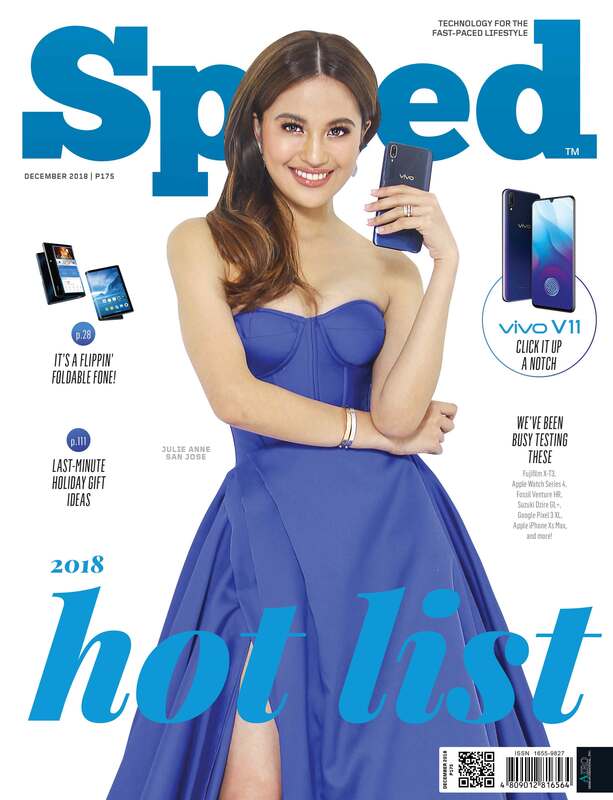 End the year with a bang as Julie Anne San Jose graces Speed’s cover with the Vivo V11. Don’t miss out on this essential roundup of 2018. 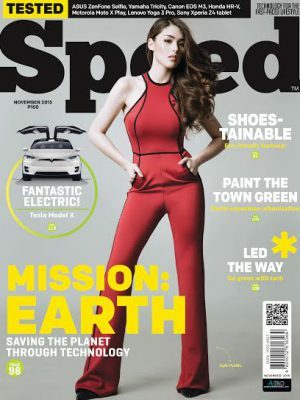 Grab a copy of Speed’s December 2018 issue from your favorite bookstore, or download a digital copy from Buqo (bit.ly/SpeedBuqo) or Magzter (bit.ly/SpeedMagzter). For more info, visit speed-mag.com or facebook.com/SpeedMagazinePH, follow @SpeedMagazine on Twitter and Instagram, email [email protected], or call (02) 374-6771 to 75.